Check out our offers and promotions: You can choose and book the offer that interests you ! 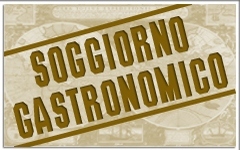 You will have the chance to taste the dishes that have made our history. Stay for No. 1 night, the First Continental Buffet Breakfast and Gastronomic Dinner. On Saturday and Holidays at evening we play live music. Stay for the No. 2 nights, the First Continental Buffet Breakfast, one gastronomic Dinner and one dinner a la Carte.. 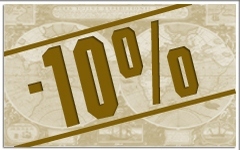 The Offer "Last Minute" package, valid for reservations made 2 days before last few the holiday, includes "Gourmet stay of 1 night" with a discount of 10%. Half Board at Hotel Lago Bin in Last Minute! 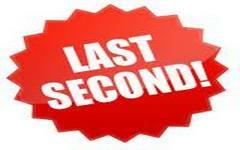 The Offer "Last Minute" , valid for bookings made within 2 days prior to arrival, including the Stay, the First Continental Buffet Breakfast, Lunch or Dinner, with a discount of 10% . 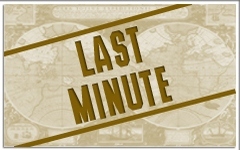 The Offer "Last Minute" , valid for bookings made within 2 days prior to arrival, including the Stay, the First Continental Buffet Breakfast, Lunch and Dinner, with a discount of 10% .